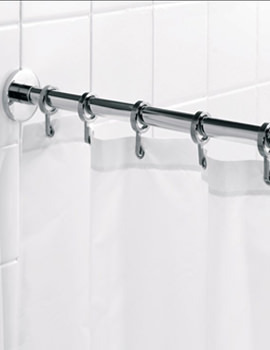 Curtain Rails are no longer just a secondary thought; they have become a vital, functional element in the bathroom. These curtain rods add finesse to the appearance of your bath and give your bathroom ‘the complete look’. You can add a fantastic element in your bath space by simply draping it with a beautiful shower curtain. 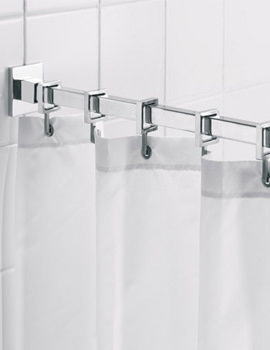 A Curtain Rod is required to hang bath curtains, and these curtains prevent the splashing of water outside the bath area. 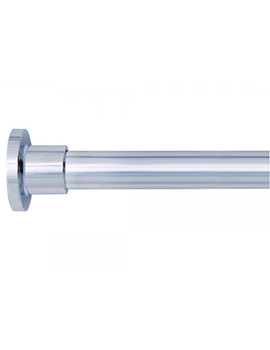 There are different kinds of materials and finishes used for manufacturing Curtain Rods. As curtain rails are meant to be lighter, and do not have to hold more weight, the most common material used to manufacture these is Aluminium. Other materials that are available in the market are wood, brass and acrylic. Make a smart choice by ordering one from QS Supplies, as we offer top class products in this category that will not wear out over the time. At our on-line store, we offer Curtain Rails with the hooks that provide smooth running operation, unlike the cheaper ones that will not budge. Manufactured by world class brands products listed in this category are made with premium materials, which ensures the sustenance and longevity. QS provided excellent service with a well packed difficult shape, quickly on time and included the extra ceiling support I needed at no extra cost. The rail was fun to fit, once you got the hang of how to create the shape needed. Now fitted it allows full use of the shower in a curved bath and makes the bathroom feel much softer. Excellent product! I'd read some negative reviews but, when the curtain rail arrived, I was very pleased to see that it's good quality and very nice chrome finish, plus a generous price compared to other shower curtain rails. Smart chrome finish curtain rings are included in the price and work very well passing round the supported corners. We ordered an extra 12 rings for the two curtains I use, which I machine sewed together.